Fabulous large figural "Globe" pendant. The globe is set within a deeply ribbed border. It is hinged and swings open to reveal a locket, with bezels for three pictures. 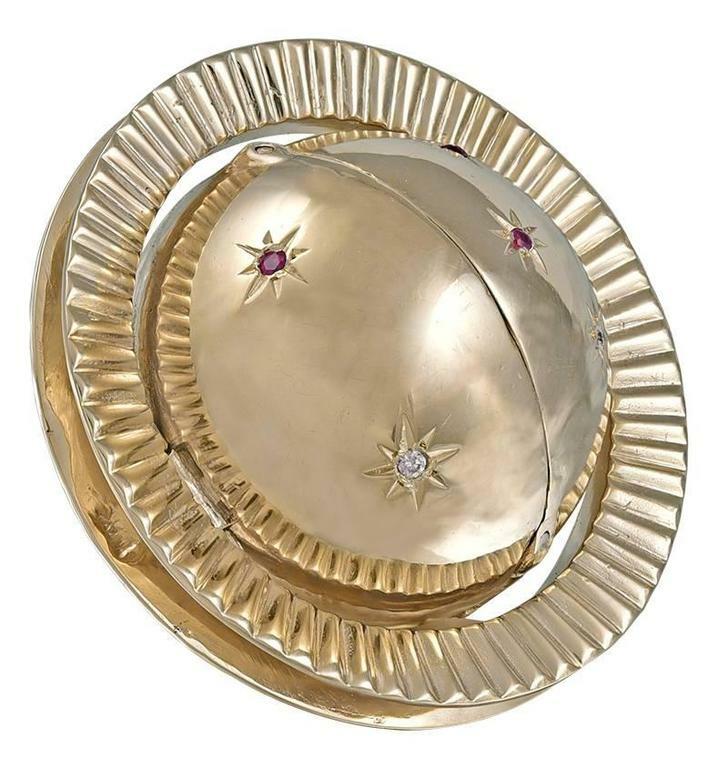 The globe is decorated with scattered rubies, diamonds and sapphires, set in starburst patterns. 14K rosy gold. 2" in diameter. A spectacular piece! Alice Kwartler has sold the finest antique gold and diamond jewelry and silver for over forty years. 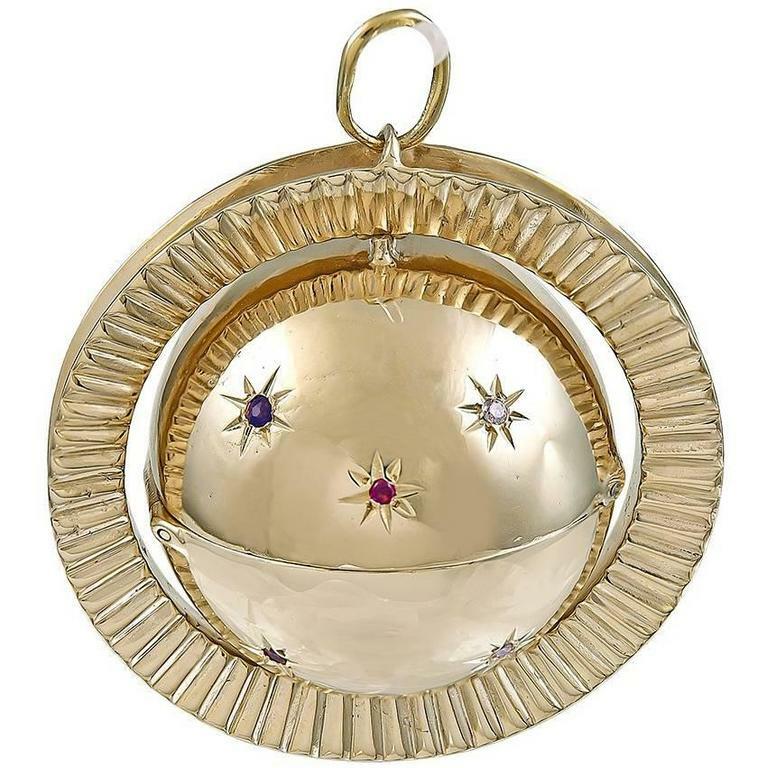 This locket is made in 14k yellow gold. It measures 26mm wide and 42mm tall. The piece weighs 17.93 grams. The front of the locket is monogrammed.